The Centers for Disease Control and Prevention (CDC) estimate that more than 29 million Americans have diabetes, while another 86 million American adults are dealing with a condition called ‘prediabetes,’ in which their blood sugar levels are higher than the average adult, however not high enough to warrant a classification of diabetes. 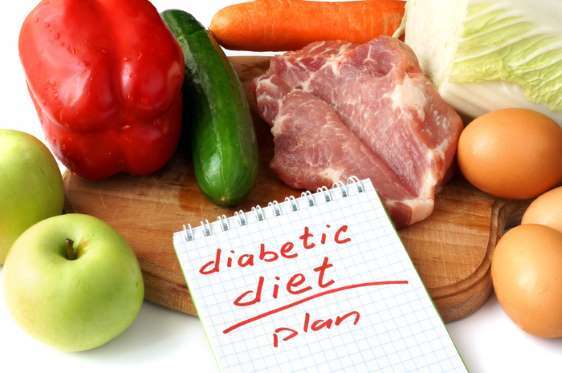 Of those Americans with prediabetes, approximately 15-30% will develop full blown diabetes within 5 years unless they take the necessary steps to manage their condition and make smart dietary choices. They can work to lower their risk of diabetes through healthier food choices, moderate physical activity and working towards a healthy weight. Ann Albright, Ph.D., R.D., director of the CDC’s Division of Diabetes Translation stated, “These new numbers are alarming and underscore the need for an increased focus on reducing the burden of diabetes in our country. Diabetes is costly in both human and economic terms. It’s urgent that we take swift action to effectively treat and prevent this serious disease. When considering their food choices, those that are looking to manage their diabetes, or lower their chances of developing diabetes, need to reduce calories and consider which choices will help to balance their blood sugar levels. There are some foods that will work towards improved blood sugar levels, whereas others will work against them. While many believe that fruit juices are a healthy alternative to other sugary drinks, these juices actually contain a significant amount of sugars. In fact, in some cases, they actually contain more sugar than a soda drink! Rather than drinking fruit juices enjoy a glass of cold water with slices of lemon for a much healthier alternative. When selecting meats for your diet, it is advised to avoid those with a high-fat content as this means that they are high in saturated fats, which promotes high cholesterol levels and triggers inflammation throughout the body. Instead, select lean protein options such as fish, skinless chicken or lean cuts of beef. A staple in the diet of most Americans, processed foods may be convenient, however, they contain little to no nutritional value. Instead, they contain high levels of additives, trans-fats, sodium, artificial sweeteners, sugars, color, preservatives and countless other chemicals. All of these ingredients work together to boost blood sugar levels as well as promoting a number of other diseases and ailments. While fruit is generally a great option for a healthy diet, the process of drying fruit concentrates the sugars causing dried fruit to send your blood sugar through the roof. If you do enjoy fruit, stick with fresh fruit options, such as grapefruit, strawberries, cantaloupe, and peaches. Pasta, white bread, and rice are all examples of high-carb, processed foods. They increase blood sugar levels within the body and promote weight gain. These specific carbs are low in fiber content, which would help to slow down the body’s ability to absorb sugar into the bloodstream. While you can make incredibly healthy smoothie options at home, paying careful attention to the ingredients that you are using, purchasing already prepared smoothies, such as those available in a fast food drive-thru, contain incredibly high levels of sugar, as well as a significant amount of carbs. Fried foods are generally high in hydrogenated oils, a type of oil that is high in trans fats. These trans fats will increase cholesterol, increase the risk of heart disease, cause weight gain and send the level of blood sugar in the body completely off balance. Root vegetables include high amounts of both sugar and starch, causing the body to experience insulin spikes when they are consumed. This includes turnips, yams, potatoes, sweet potatoes, taro, and carrots. The next time that you are thirsty it might be best to avoid the regular soft drinks. The amount of sugar in a single glass of soda is surprisingly high, causing the blood sugar levels in the body to spike. Also high in carbs, these drinks are also responsible for promoting weight gain. While fancy coffee drinks seem to be all the rage, they are not going to help promote healthy blood sugar levels in those who struggle with these conditions. The coffee itself isn’t the problem, it is the additional ingredients that are added such as sugars, whipped cream, and syrups. Stick with regular coffee instead. Many of the snack options that are regularly consumed in American society are incredibly high in sugar content such as candies, cookies, cakes, and soda. These foods send the blood sugar levels in the body into a dangerously high territory. Fruit makes a great alternative the next time that you are craving a snack such as berries, oranges, pears, and apples. Full-fat dairy products contain high levels of saturated fats, much like the high-fat cuts of meat. This doesn’t mean that you have to avoid dairy products entirely. Rather than consuming the full-fat products choose the reduced-fat or fat-free versions.